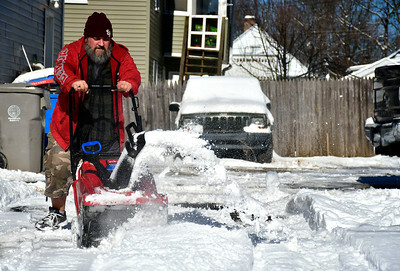 1/30/2019 Mike Orazzi | Staff John Cyr while clearing snow from a driveway on Beech Street in Bristol Wednesday. 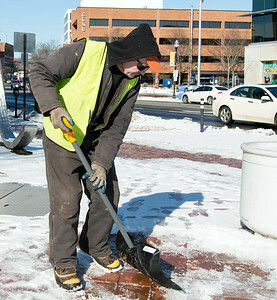 01/29/19 Wesley Bunnell | Staff A city snow plows spreads ice melt at the Willow Brook Park parking lot on Wednesday afternoon. 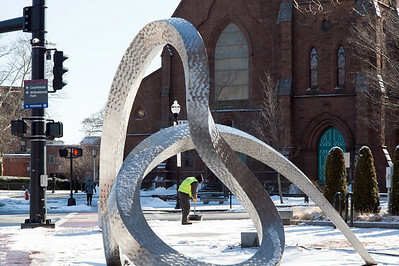 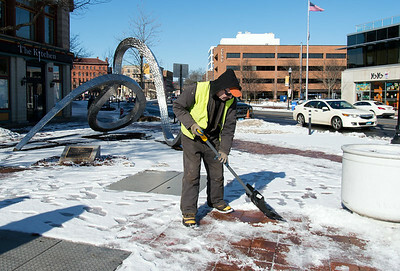 01/29/19 Wesley Bunnell | Staff A city worker is shown clearing snow and ice from the sidewalk near the corner of Main St. & Chestnut St on Wednesday afternoon. 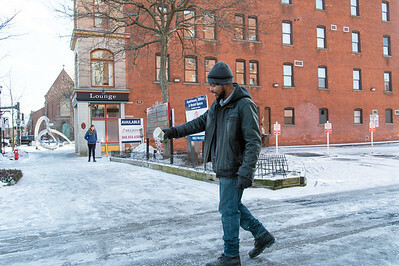 01/29/19 Wesley Bunnell | Staff Darren Tabron, of Jasko Development, spreads salt onto the walkways around the companies properties on Main St on Wednesday afternoon. 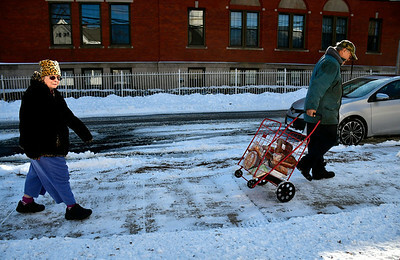 1/30/2019 Mike Orazzi | Staff Patricia and Dave Talbot with food pantry items they received from the Bristol Salvation Army on Stearns Street on Wednesday. 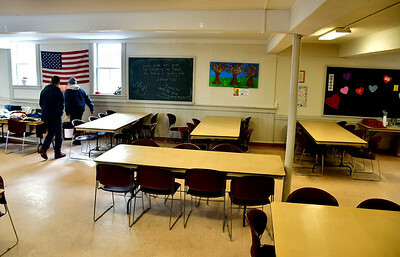 1/30/2019 Mike Orazzi | Staff The Bristol Salvation Army on Stearns Street on Wednesday. 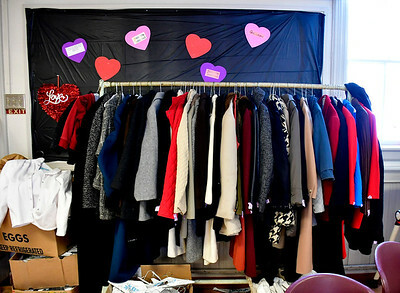 1/30/2019 Mike Orazzi | Staff Coats at the Bristol Salvation Army on Stearns Street on Wednesday. 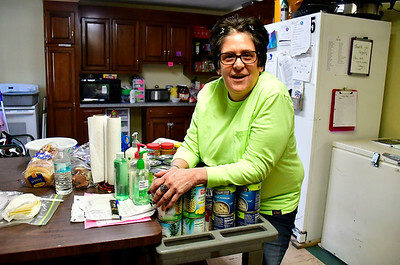 1/30/2019 Mike Orazzi | Staff Brian's Angels volunteer Kim Margelot in the kitchen area on Wednesday afternoon. 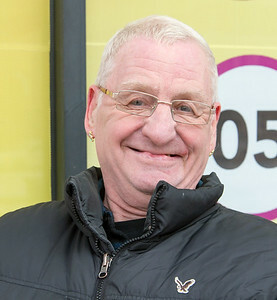 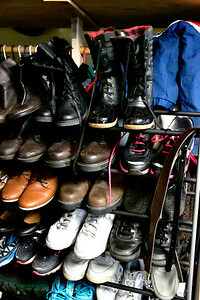 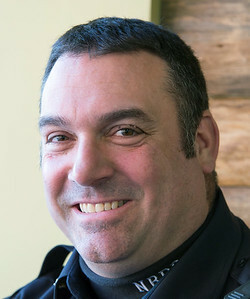 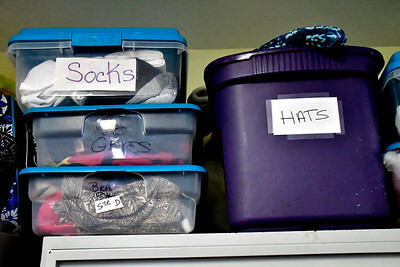 1/30/2019 Mike Orazzi | Staff Clothing items at Brian's Angels in Bristol. 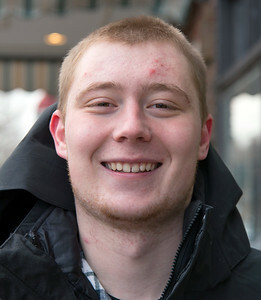 01/29/19 Wesley Bunnell | Staff “I’d root for the Los Angeles Rams. 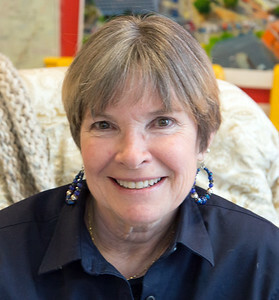 They won the national conference championship. 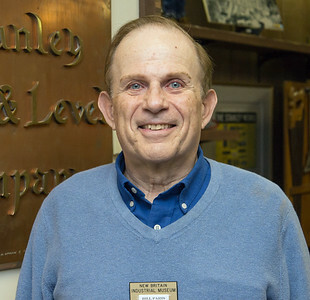 They have the youngest head coach in the NFL—and he’s half the age of the Patriots’ coach, who’s 66!” -	Bill Paris (New Britain Industrial Museum Docent), Cromwell, CT.
01/29/19 Wesley Bunnell | Staff “Who will you be cheering for in Sunday’s Super Bowl?” “Not the Patriots. 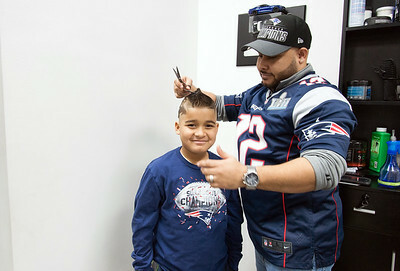 I’m a Titans fan, so I root against the Patriots. 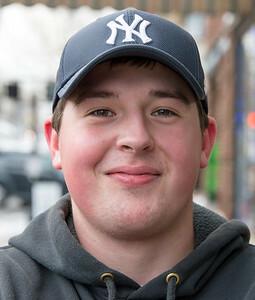 We went to the Titans-Patriots playoff game last year and they got rough with me.” -	Joe Colombie, New Hartford, CT.
01/29/19 Wesley Bunnell | Staff “Who will you be cheering for in Sunday’s Super Bowl?” “I’m a Patriots fan, my dad’s a Patriots fan, my mom’s a Patriots fan, and my brother is, too; so it runs in the family... brings us together, I guess.” -	Devin Warren, New Hartford, CT.
01/29/19 Wesley Bunnell | Staff “Who will you be cheering for in Sunday’s Super Bowl?” “The commercials. 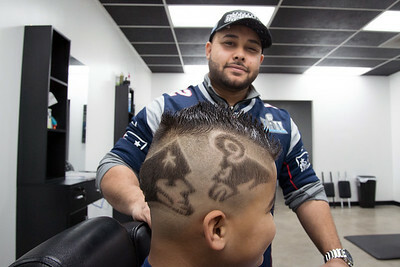 Football is okay as background noise, but I’m really looking forward to the commercials… oh, and the food, too!” -	Betsy Bradley, New Britain, CT.
01/29/19 Wesley Bunnell | Staff “Who will you be cheering for in Sunday’s Super Bowl?” “Patriots—I think Tom Brady and them are doing a great job. 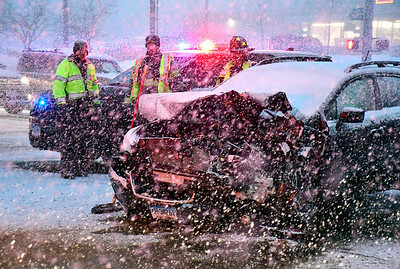 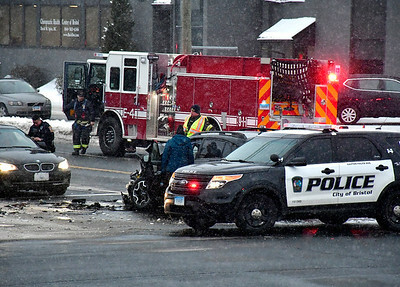 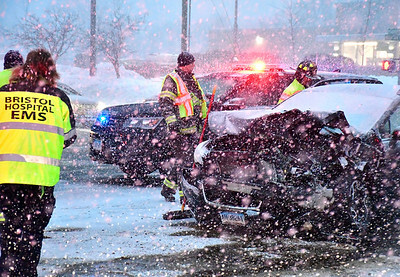 Me and my partner, Don, are great fans; have been, and will continue to be for years to come.” -	Victor Domikis, New Britain, CT.
1/30/2019 Mike Orazzi | Staff The scene of a two car crash at the intersection of PIne and Middle Streets in Bristol Wednesday evening. 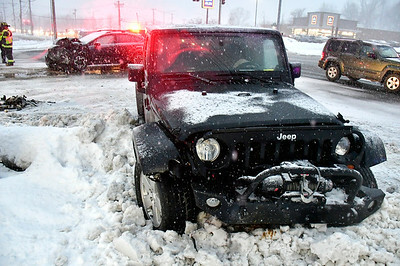 Both vehicles, a Jeep and a Subaru, were towed from the scene and no patients were transported. 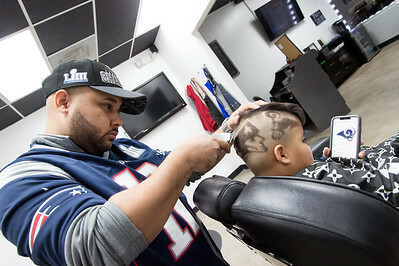 01/30/19 Wesley Bunnell | Staff Owner Javier Cruz of Cortefino Barbershop cuts the Patriots and Rams logos into his son Xavier's Cruz's, age 10, haircut in preparation of the upcoming Super Bowl. 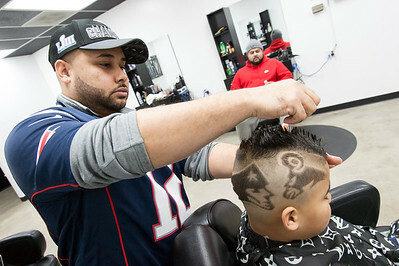 01/30/19 Wesley Bunnell | Staff Owner Javier Cruz of Cortefino Barbershop puts the finishing touches on his son Xavier Cruz's, age 10, haircut after cutting the Patriots and Rams logos in anticipation of the upcoming Super Bowl. 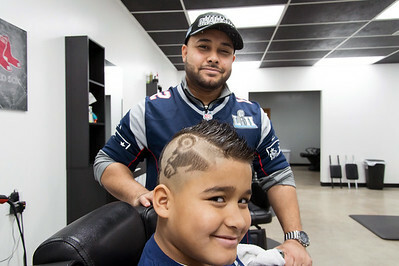 01/30/19 Wesley Bunnell | Staff Owner Javier Cruz of Cortefino Barbershop poses with his son Xavier Cruz, age 10, after giving him a haircut featuring the Patriots and Rams logos in anticipation of the upcoming Super Bowl.